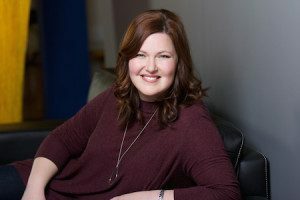 Avery Swartz is a Toronto-based award-winning web designer, consultant, speaker, and tech skills instructor. 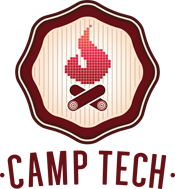 She is the founder and CEO of Camp Tech, the national tech workshop company for non-technical people. Avery has designed and developed hundreds of websites, and taught thousands of people how to get the web working for them. When she’s not busy making websites or expanding Camp Tech across Canada, Avery blogs at Stuff Avery Likes, teaches Digital Publishing at Ryerson University, teaches Web Design at Humber College, acts as a digital advisor to a number of charities, and co-hosts the Gather North retreat for women who make the web. Describe your favourite memory or experience with a library. I’ve always been a huge fan of libraries. My earliest experience was with a kids book club at my local library where I grew up in Houston, Texas. If you read a certain number of books, you’d get a voucher for free pizza at some local pizza chain. I would have read the books anyway, but the pizza made it extra worthwhile! How has reading made a difference in your life? Reading has been one of the greatest joys of my life. From the time I was very little, curling up with a good book for hours has been my idea of the best way to pass time. If you were a book, what genre would your story be? Probably a comedy, in the old Shakespearean way, where comedies meant a bit of wit, a bit of hi-jinx, and a happy ending. I’ve had a great life (so far) and a great career. While I’ve had my share of drama and tragedy, to say it’s been anything other than a happy comedy would be silly. Tell me something that’s true, that almost nobody agrees with you on (for example, your favourite fact or something about yourself). I have a really strong visual memory, and I can remember the layout of almost any building I’ve ever been in. My husband thinks I’m full of it and is always testing me. We’ve been together 10 years and he still doesn’t believe me. 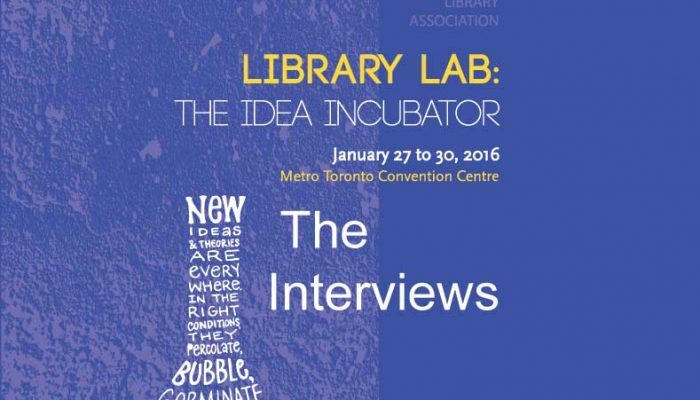 What’s the best idea you’ve “incubated” at a library? If you take the concept of a library of being an environment for ideas and learning, and extend that beyond the literal walls of the library building, then I’d say pretty much every great idea I’ve had has been in a library-like setting. Jason Fried says that good work doesn’t usually happen at work – it happens when you’re away from your office. I have my best ideas when I step away from the minutiae of work, and give myself space to learn, breathe, and reflect. What’s the biggest challenge you’ve encountered when teaching adults technology skills? Adults are afraid of failure; afraid of being wrong. That makes them really hesitant, and holds them back. Children have a great ability to try things, and somehow that gets beaten out of us as we get older. I try to encourage adults learning technology to not be afraid – they’re not going to break anything by just trying! 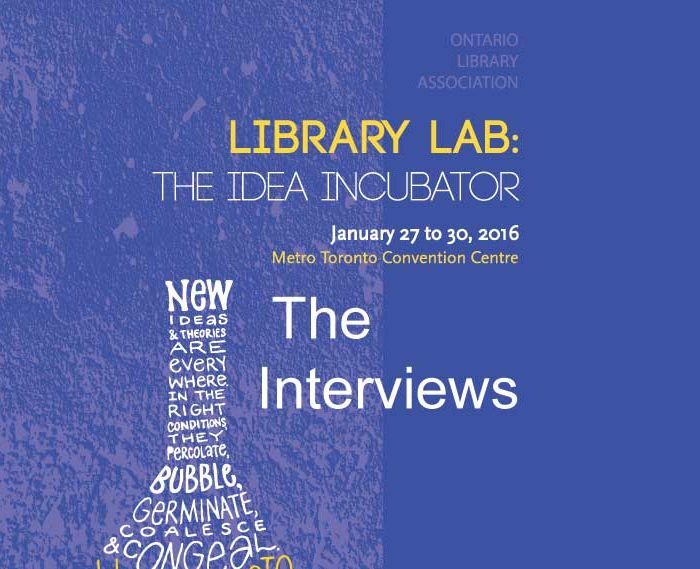 If you could say one thing to all of Ontario’s library staff, what would it be? I’d say “Thanks you!” Honestly. I think libraries are the most beautiful concept (honestly, if someone tried to propose the idea today, I don’t think it would fly), and the people who keep them running are heroes. Why should Super Conference attendees attend your session? I hope to inspire attendees, and hope they’ll enjoy my presentation. I believe that fun is an essential part of learning that we often forget about. Why do we have to be so serious all the time? My presentation will be irreverent, in a good way. I hope it’s fun and entertaining. And thought-provoking too, of course! Annesha Hutchinson is the Marketing and Communications Coordinator for the Ontario Library Association. She currently tweets for @ONLibraryAssoc. She can be reached at ahutchinson [at] accessola.com.